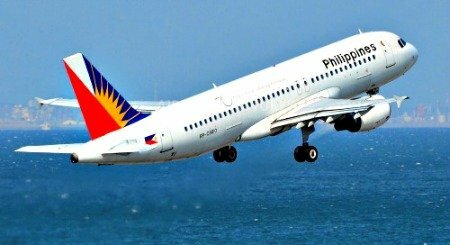 Starting June 22 , Philippine Airlines will operate its international flights from the brand new Terminal 2 of the Mactan Cebu International Airport in Lapu Lapu City. To depart from the state of the art MCIA T2 are PAL flights from Cebu to Bangkok (daily), Beijing (once-a-week), Chengdu (once-a-week), Nagoya (thrice weekly), Osaka (daily), Seoul (Incheon) (daily) and Tokyo Narita (twice daily). At present, GMR Megawide is completing the construction of this international airport which expects to serve 11.2 million passengers annually. The area spans 45,000 square meters with a 2-level forecourt segregating arrivals and departures with 48 check – in counters. The terminal has seven passenger boarding bridges which can be expanded to twelve for both wide and narrow-body aircraft. It will be connected by a link-bridge to Terminal 1, which will be refurbished for domestic use. All domestic flights will continue to operate out of Terminal 1 of the existing Mactan Cebu International Airport. These are flights from Cebu to Bacolod, Busuanga, Butuan, Cagayan de Oro, Caticlan, Camiguin, Davao, General Santos, Iloilo, Kalibo, Legazpi, Ozamiz, Puerto Princesa, Siargao, Surigao and Tacloban. PAL and GMR – Megawide – builder and operator of MCIA T2 -- are in close coordination for the orderly transfer of international operations to the new terminal. PAL views the new terminal as a positive development which will strengthen Cebu's position as one of the country's major hubs and as a major boost to the travel and tourism industry.